The very first time I placed an order on Fashion Nova *, I didn't really know what to expect. I had heard about it a lot on social media, I saw all the IG baddies rocking it, and from what I saw on their site I had high hopes for the blush pink midi dress I ordered. Unfortunately, the dress didn't meet my expectations. I didn't give up on Fashion Nova though, which you can see if you follow me on Instagram LOL. Over time I learned a bunch of tips and tricks to find the most LIT pieces on there, for the low-low. 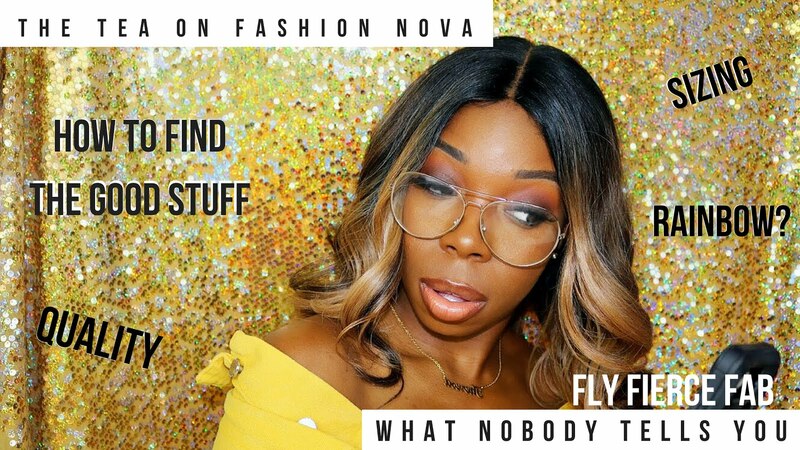 I compiled all my best shopping tips (like keeping up with the coming soon page, and setting alerts) that I use when I browse on Fashion Nova, answered some questions from y'all, and spilled the tea on where to find similar pieces (and it's NOT just Rainbow sis). Check out my video below to catch all the tea on Fashion Nova, and some of the stuff that nobody really tells you. *This post contains referral links, which means I may be compensated if you decide to click the link I provided an make a purchase. This post itself however is not sponsored.